Last May, for his fifth birthday, P had a big Viking party, for which we hired a hall and made cardboard Viking ships as props, and made the boys shields and Viking costumes, and gave the guests Danegeld to go away at the end, and generally got into the spirit of the thing, which was all enormous fun for people who like making daft things out of cardboard and don't have much of a social life to encumber their evenings anyway. But then we realised we'd set a precedent. Ever since R has been saying, "For my birthday...this, for my birthday...that", and planning what he was going to have. 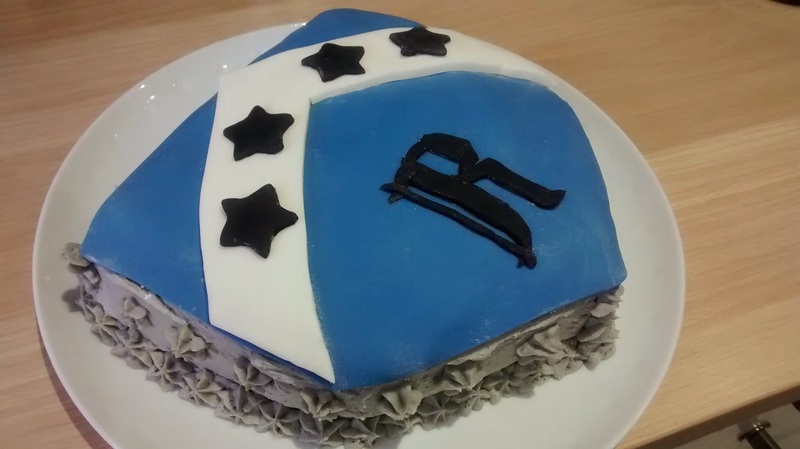 However R's birthday falls immediately after Christmas and time, energy, and enthusiasm for throwing a big bash tend to be in shorter supply at that time of year. 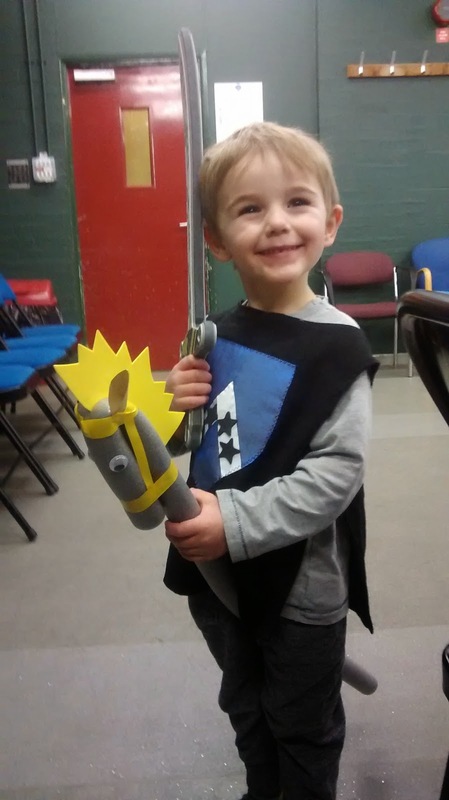 Nevertheless it seemed a bit unfair to say he couldn't have a big party just because his birthday is when it is (a fact which is, after all, more our fault than his), so we eventually pulled ourselves together and booked the hall for a belated birthday party at the end of the month, sent out the invitations, and set about making things for a "knights" party. First there were the pipe-lagging horses, and their insulation-tape bridles. The ears were tricky, since changing the size and angle by only a few millimetres could make what was clearly a horse immediately change into a donkey or even worse a cow, but once we we got the general pattern sorted these were fairly straight-forward to construct. Then there were the party bags. 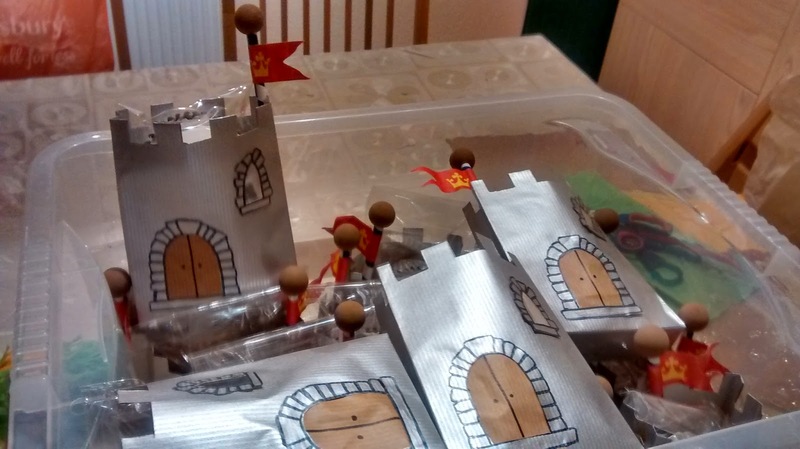 I looked online and found some castle-shaped party bags but a glance at the price convinced us that paying that amount for a paper bag was a sure sign of idiocy, so we resolved to make them ourselves. 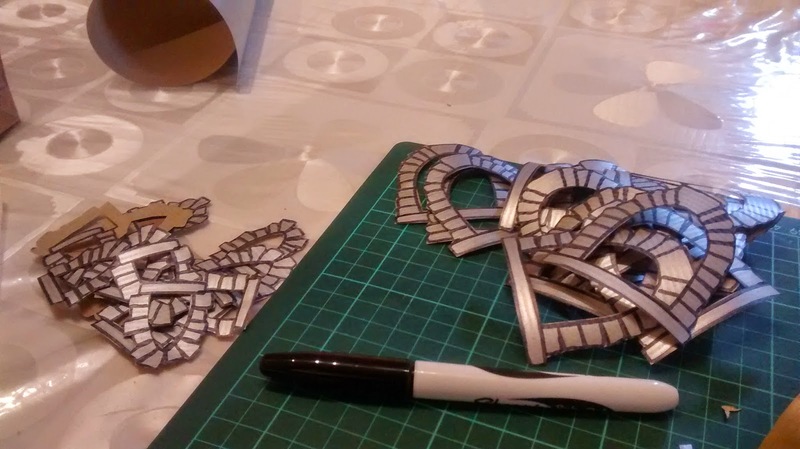 Little Dorrit turned out to be pretty much exactly the right size to be half-wrapped in silver paper for the bags, but the doors and windows were fiddly to cut and we spent several nights after work in the week before the party cutting and sticking. They worked out fairly well in the end, though, and we found some pencils which gave them all a flag to fly from the crenellations in a pleasing sort of way. 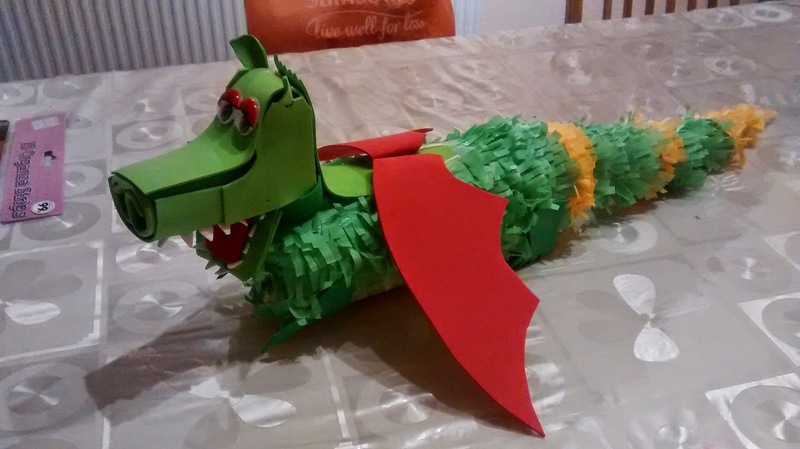 Finally there was the "dragon" pinata. R was determined that he was going to have a dragon to vanquish as P had had one the year before and clearly the idea of being invited to beat the **** out of something and getting showered with sweets as a reward is every little boy's dream. 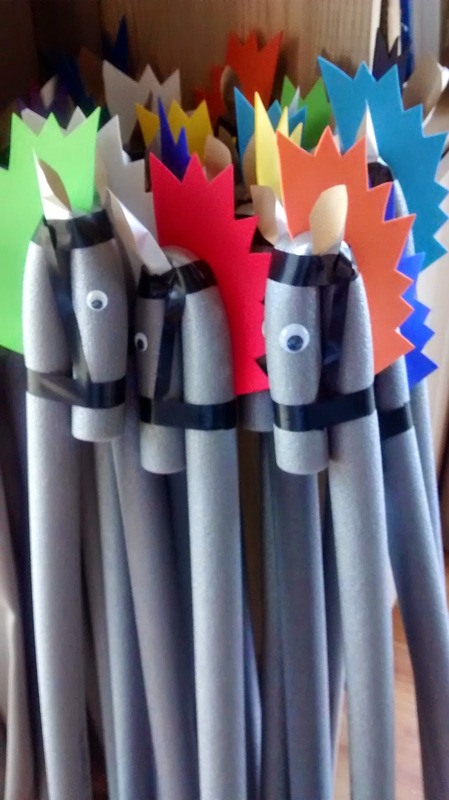 This time, though, we undertook to build one from scratch having attempted, with only moderate success, to convert a shop-bought donkey pinata last time. The donkey-dragon looked ok to begin with, but although its add-on wings and tail were dislodged after the first few blows, the donkey itself proved to be infinitely sturdier. Even with ten or more 5-year-old Vikings hacking at it with plastic swords and axes for a full fifteen minutes it refused so much as to dent. Even had they been fully grown Vikings with real axes I reckon it might have taken a while. Ultimately it had to be disembowelled by hand. For our version we used a water bottle cut in half and wedged back together in the hope that a good whack in the right place would cause it to spring apart. In this respect it worked fairly well, but building a dragon round a water-bottle is no mean feat. 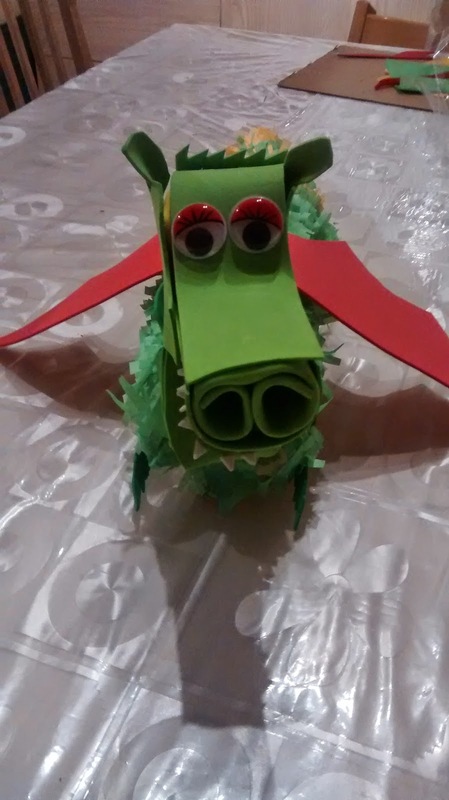 After four hours of faffing and fiddling with bits of foam, double-sided sticky tape and tissue paper, I managed to produce something which, while possibly a "wyrm", certainly wouldn't have given St George, Beowulf, or even Bilbo Baggins a sleepless night. Far from a fearsome fire-breathing serpent it looked like a cheerful, yappy little sausage-dragon. Over night its head fell off and had to be done again in a tearing rush on the morning of the party. The boys named it Errol Greengrass and took it off to watch Scooby-Doo. Didn't stop them hacking it to pieces with great glee in the end, though. 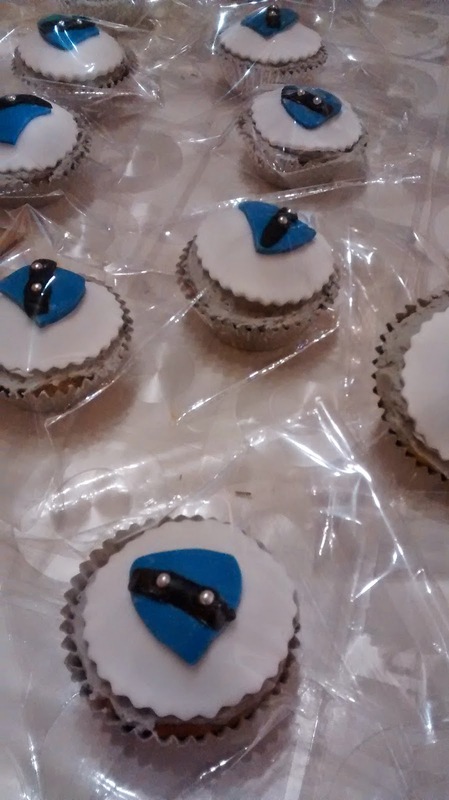 Still, in spite of having had to stay up until 1am baking and icing cakes, stuffing party bags, and putting together cardboard shields and paper crowns for small people to decorate, the party went off well in the end. And now I get to spend my first non-cardboard infested evening in a week drinking wine and wondering what P is planning for his next birthday, and whether three and a half months is long enough to prepare.